These marbled (or arlecino) vases were made in Czechoslovakia. 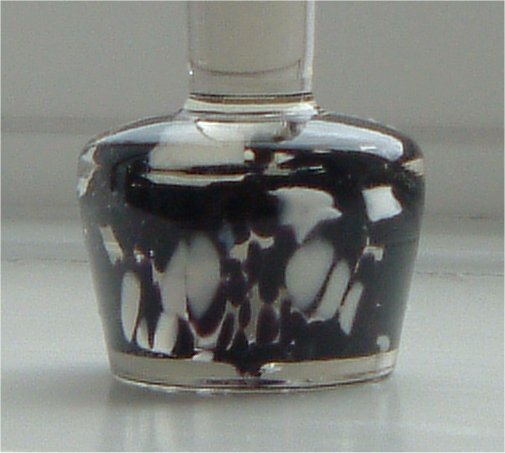 The one on the right has black amethyst and white pieces encased in clear glass. 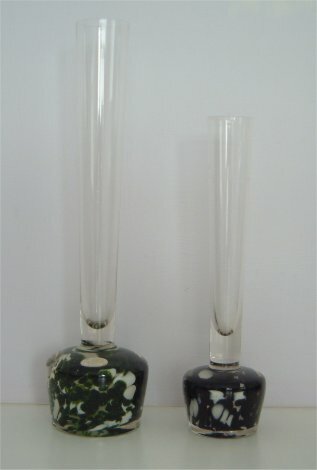 It is 17 cms tall, (approximately 6 & 5/8ths inches) and the clear stem has a medium flare of 24mm (1 "). 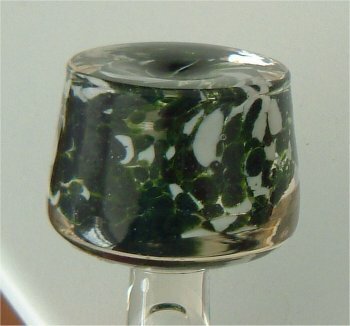 The bottom of the bases of both vases are shiny with a slight depression. The one on the left has green and white pieces encased in clear. It is 22cms tall (approximately 8 & 3/5ths inches) and the clear stem has a medium flare of 29 mm (approximately 1 & 1/8th inches). 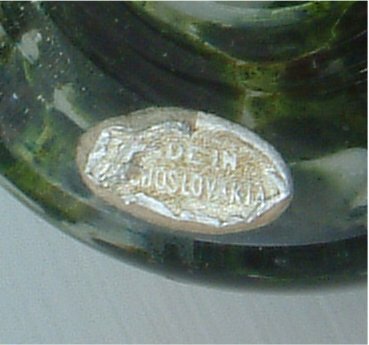 It has the remains of a pale yellow gold oval label with silver lettering which states MADE IN CZECHOSLOVAKIA.